The trip to Florida was fascinating. We travelled with Dr. Brenda Ortiz to Monticello, a town located in Northwest Florida. 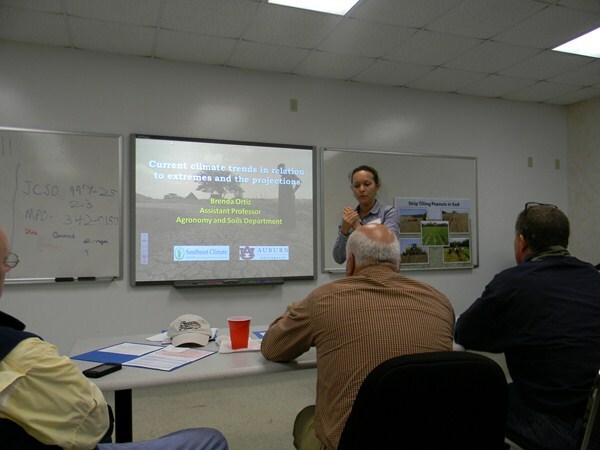 The participants of the meeting were scientists, extension agents and farmers from Alabama, Georgia and Florida. Several important issues were covered during the meeting. 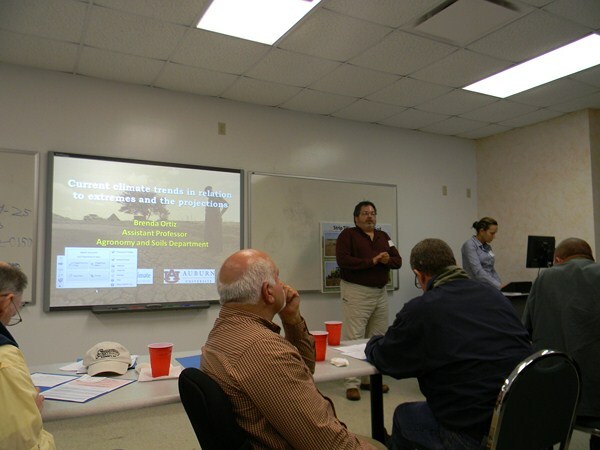 Climate changes and seasonal climate changes: which are the available management options to meet the new challenges in agriculture. Groundwater and hydrology issues: the importance of ground water system balance management was emphasized; we need to consider the recharge vs uptake rate. 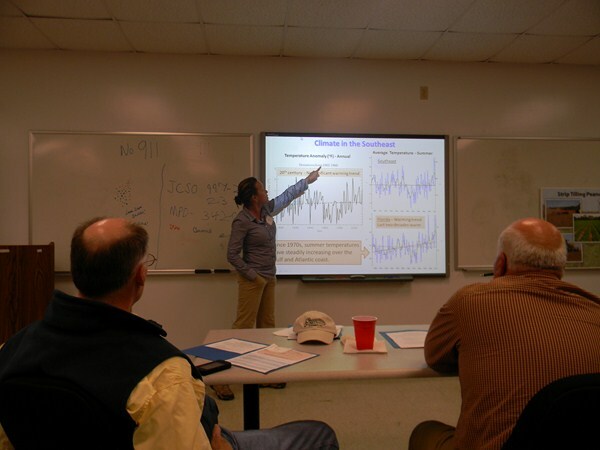 Since groundwater levels have started to decline it is of great importance to manage water balance. Climate change scenarios according to NOAA technical report: the models predicted temperature increase in summer and fall and significant decrease of precipitation during summer; up to 20%, in Southeast, for the years 2041-2070. 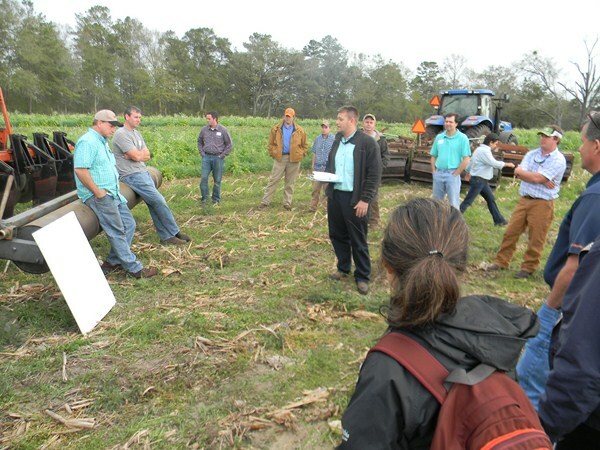 During the field trip we visited two farms. 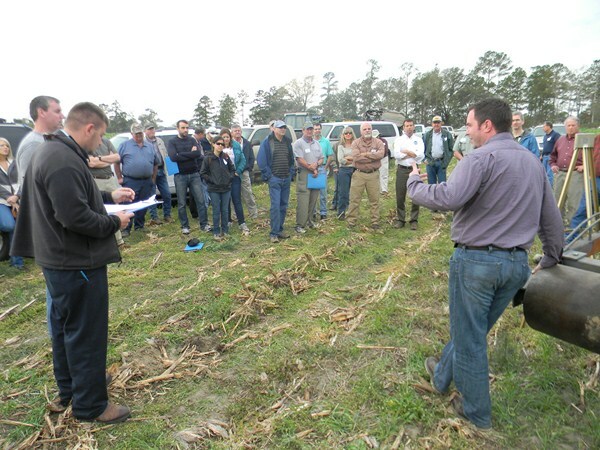 The advantages of strip tillage, cover crops and crop rotation were discussed in detail. 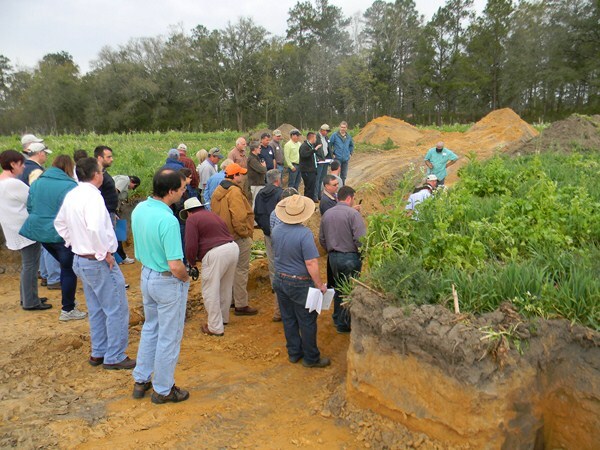 These practices were presented as solution to reduce soil erosion as result of extreme weather events, to maintain soil moisture, improve the porosity and abstract moisture from the lower soil layers in order to advance planting timing for non irrigated farms.